Training Brisbane is run by Iain Anderson, an Apple Certified Trainer who's designed and delivered training since 1998. 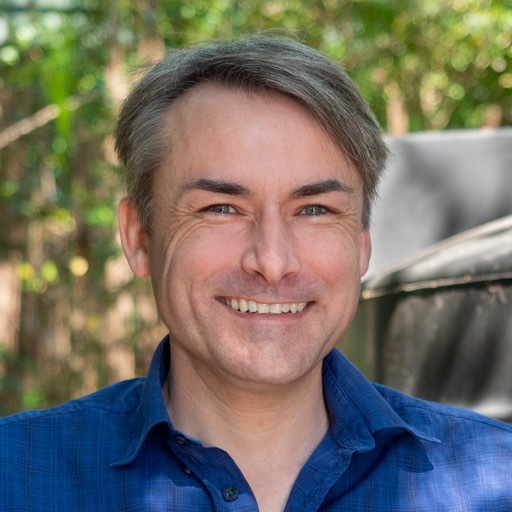 As well as a trainer, Iain is also a practising freelance designer, developer, animator and video editor whose clients have included the Queensland Government and Microsoft. If you don't have time to learn how to do something yourself and would like to hire Iain for freelance work, just ask. Iain Anderson is a lead trainer for macProVideo.com, has presented at the Final Cut Pro X Creative Summit in Cupertino (California, USA), and at the CreateWorld conference in Brisbane. macProVideo.com is a great source of video training and free written articles. Here's a collection of Iain's free articles at The Hub, and here's a list of his video tutorials on Adobe Illustrator, Adobe Flash, and Apple's Motion. This page on Vimeo and these videos on Creative Cow show a selection of video tutorials (mostly) created by Iain Anderson, teaching the use of video plug-ins from CoreMelt. Iain was interviewed (and provided some footage for) the documentary feature about Final Cut Pro X, Off The Tracks. You can see him in the trailer and the film on the official site here. In addition, Iain delivers consulting and training on subjects as diverse as HTML5 animation, faking tilt-shift photography, making iPad apps (here's one way to do it), digital publishing on the iPad with InDesign (here's a presentation on the subject), and iPad or iPhone application development (see below). Iain also runs the Brisbane InDesign User Group, and gives most of the presentations. If you'd like to come along and learn more about Adobe InDesign, it's free — sign up and find out more here.